is small, independent game development company founded in 2010 by DongMan Kim. FlatDuck is a swifter game which players need to avoid the objects that falling from the sky. If fail to avoid the objects, then our friends would become flat. Move your finger left-right-up-down to avoid and drop the fallen object. The aim is to achieve the highest score as best as can. This game offers over 30 cute characters to be collected and various task achievement (character collection, best scores, etc). FlatDuck will be launch soon on October 2015. Horsemaker is a real time horse racing game which brings a lot of excitement at the races. In Horsemaker, players will play the role as a horse owner, trainer, and also breeder at the same time to win various races to be a Champion. Players also will have fun in challenging various race that open every 3 hours, once in a day, month, and year and compete against real players from all over the world in a real time. Meet the friends, make Horse Club, and increase your club rank by compete with others club. Horsemaker Web Game was launched in the second quarter of 2011 on Facebook. Beside by Facebook, players are able to enjoy this game by Google Chrome Apps Store. 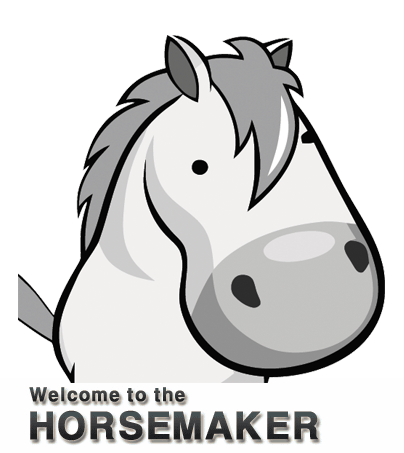 Horsemaker : Android version is the Horsemaker application game for mobile device. Horsemaker Android grants players to access the full site just like that of computer view via Android mobile with the same account in the web. It is very useful to connect or register and check the race result while you are not sitting in front of your computer. Horsemaker Android version was launched in the first quarter of 2014 on Android mobile. Knight Jump is our second title mobile game, which main story is a knight who rescue the princess up in a tower. Knight have to be safe until reach the top of tower to rescue the princess, don't fall down and be careful in jumping the platform. The knight will move to left-right automatically, so all players need to do is to tap the screen to jump up to next platform. If failed to jump from one platform to next, then knight will fall down. The game offers various platforms to jump on (moving, falling, invisible, etc) and grab the stars as many as you can. Knight Jump was launched in the third quarter of 2014 on mobile. Ganji Calendar is a lunar calendar that based on 12 chinese animal zodiac and also show many various information. At first, we only supported IOS and a couple years later we also support Android version. For information, this application language is Korean only. Ganji Calendar is our frist product that was launched in the fourth quarter of 2010 on mobile.